Beko KDVF90X Stainless Steel range cooker review - Which? 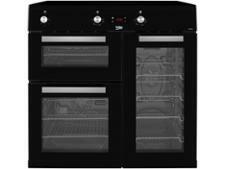 The Beko KDVF90X range cooker is a dual-fuel cooker with two ovens and a separate grill, as well as five gas burners on the hob. The manufacturer claims that the CleanZone technology, featuring a nano coating on the inner glass door, makes it harder for grease and dirt to stick to the oven doors. We've tested this range cooker to see whether cleaning really will be less of a chore, and to find out how it performs in our series of cooking tests. Read the review to find out how it did. We have tested 121 range Cookers and found that there are 0 Don't Buys and 17 Best Buys. Additional informationWe introduced new range cooker tests in 2017 which included more in-depth testing of the ovens and hobs. Results for range cookers tested before 2017 aren’t directly comparable. 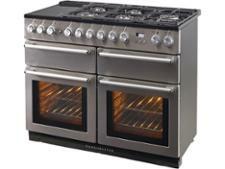 Not sure which range cooker you should buy? Expert Which? advice will help you find the answer. 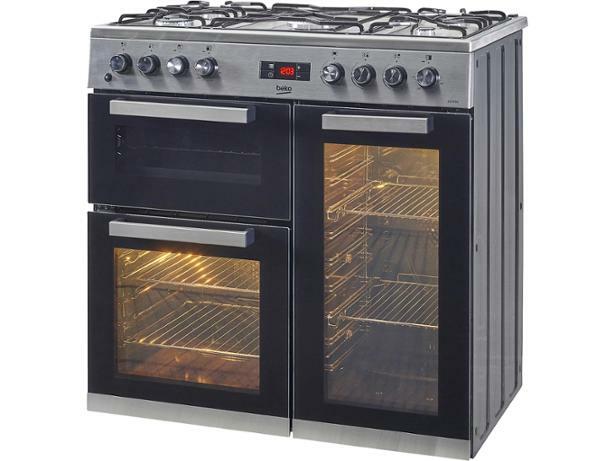 Our range cooker reviews of electric, gas and dual-fuel cookers based on tough tests, will guide you to the best range cookers around. Which? tests range cookers from big brands including Rangemaster, Stoves and Belling to find out whether they’re good at baking, frying, grilling and simmering. Only the best range cookers from our tests become Best Buys. Whether you're after a cheap range cooker or the best range cooker available, head to our list of the top range cookers. These models aced the tough Which? tests - so you'll know you're making a great investment for your kitchen.